ITV’s period drama hit Victoria has been picked up for a second series. The Jenna Coleman-fronted series has scored huge ratings for the channel since its premiere last month, consistently beating out the BBC’s popular Poldark series. According to the Sun, ITV execs have secured more episodes of the show in response to its success and are even daring to hope it may emulate the success of Downton Abbey for the channel. 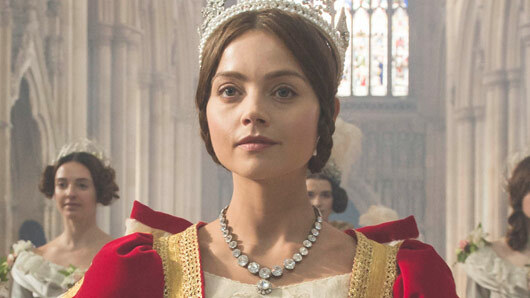 Victoria stars Jenna Coleman as the titular Queen of England, a bold and charismatic ruler who knew her own mind. Rufus Sewell plays her Prime Minister and one-time crush, Lord Melbourne, while Tom Hughes portrays her star-crossed lover and husband Prince Albert in the series. The news comes after writer Daisy Goodman teased steamy scenes in store for Victoria. Victoria continues on ITV on Sundays at 9pm.